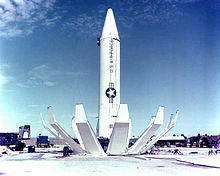 The conflict between the US and Cuba over nuclear missile threats from communist Cuba. With important Congressional elections scheduled for November, the crisis became enmeshed in American politics. 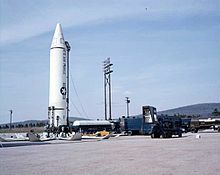 On August 31, Senator Kenneth Keating (R-New York) warned on the Senate floor that the Soviet Union was "in all probability" constructing a missile base in Cuba. He charged the Kennedy administration with covering up a major threat to the US, thereby starting the crisis. He may have received this initial "remarkably accurate" information from his friend, former congresswoman and ambassador Clare Booth Luce, who in turn received it from Cuban exiles. A later confirming source for Keating's information possibly was the West German ambassador to Cuba, who had received information from dissidents inside Cuba that Soviet troops had arrived in Cuba in early August and were seen working "in all probability on or near a missile base" and who passed this information to Keating on a trip to Washington in early October. Air Force General Curtis LeMay presented a pre-invasion bombing plan to Kennedy in September, and spy flights and minor military harassment from US forces at Guantanamo Bay Naval Base were the subject of continual Cuban diplomatic complaints to the US government. Later that same day, what the White House later called "Black Saturday," the US Navy dropped a series of "signaling depth charges" (practice depth charges the size of hand grenades) on a Soviet submarine (B-59) at the blockade line, unaware that it was armed with a nuclear-tipped torpedo with orders that allowed it to be used if the submarine was damaged by depth charges or surface fire. As the submarine was too deep to monitor any radio traffic, the captain of the B-59, Valentin Grigorievitch Savitsky, decided that a war might already have started and wanted to launch a nuclear torpedo. The decision to launch these required agreement from all three officers on board, but one of them, Vasily Arkhipov, objected and so the nuclear launch was narrowly averted. Arguably, the most dangerous moment in the crisis was not recognized until the Cuban Missile Crisis Havana conference, in October 2002. Attended by many of the veterans of the crisis, they all learned that on October 27, 1962, USS Beale had tracked and dropped signaling depth charges (the size of hand grenades) on B-59, a Soviet Project 641 (NATO designation Foxtrot) submarine. Unknown to the US, it was armed with a 15-kiloton nuclear torpedo. 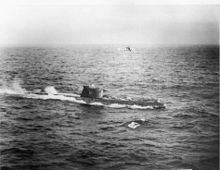 Running out of air, the Soviet submarine was surrounded by American warships and desperately needed to surface. An argument broke out among three officers aboard B-59, including submarine captain Valentin Savitsky, political officer Ivan Semonovich Maslennikov, and Deputy brigade commander Captain 2nd rank (US Navy Commander rank equivalent) Vasily Arkhipov. An exhausted Savitsky became furious and ordered that the nuclear torpedo on board be made combat ready. Accounts differ about whether Arkhipov convinced Savitsky not to make the attack or whether Savitsky himself finally concluded that the only reasonable choice left open to him was to come to the surface. 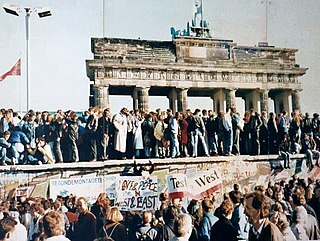 :303, 317 During the conference, McNamara stated that nuclear war had come much closer than people had thought. Thomas Blanton, director of the National Security Archive, said, "A guy called Vasili Arkhipov saved the world." 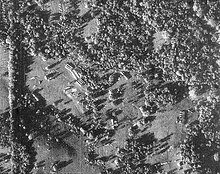 ^ "Milestones: 1961–1968 - The Cuban Missile Crisis, October 1962". history.state.gov. Retrieved March 13, 2019. ^ Stone, Oliver. "The Putin Interviews (Party 2 - 2:10)". www.sho.com. Showtime. Retrieved November 12, 2018. ^ Wingrove, Paul (October 22, 2012). "Cuban missile crisis: Nikita Khrushchev's Cuban gamble misfired | Paul Wingrove". the Guardian. Retrieved May 18, 2018. ^ Dobbs, Michael (June 22, 2008). "Cool Crisis Management? It's a Myth, Ask JFK". The Washington Post. ^ Henning, Heiko (February 21, 2017). 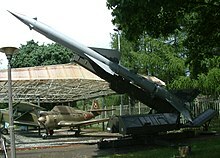 "Senator Keating's Source: How West German intelligence discovered Soviet missiles in Cuba". Wilson Center. Retrieved January 31, 2019. ^ "Department of State Telegram Transmitting Letter From Chairman Khrushchev to President Kennedy". 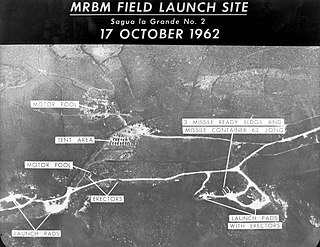 The Cuban Missile Crisis, October 1962. John F. Kennedy Presidential Library and Museum. October 26, 1962. Retrieved April 9, 2011. ^ "Chronology of Submarine Contact During the Cuban Missile Crisis". National Security Archive of the George Washington University. Retrieved November 15, 2010. ^ Edward Wilson (October 27, 2012). "Thank you Vasili Arkhipov, the man who stopped nuclear war". The Guardian. Retrieved October 31, 2012. ^ Kristensen, Hans M.; Norris, Robert S. (October 20, 2012). "The Cuban Missile Crisis: A nuclear order of battle, October and November 1962". Bulletin of the Atomic Scientists. 68 (6): 85–91. doi:10.1177/0096340212464364. ^ Allison, Graham (2012). "The Cuban Missile Crisis at 50". Foreign Affairs. 91 (4). Retrieved July 9, 2012. ^ a b c Matthews, Joe (October 13, 2012). "Cuban missile crisis: The other, secret one". BBC News. BBC News Magazine. Retrieved October 13, 2012. Brinkmanship is the practice of trying to achieve an advantageous outcome by pushing dangerous events to the brink of active conflict. It occurs in international politics, foreign policy, labor relations, and military strategy involving the threat of nuclear weapons, and high-stakes litigation. 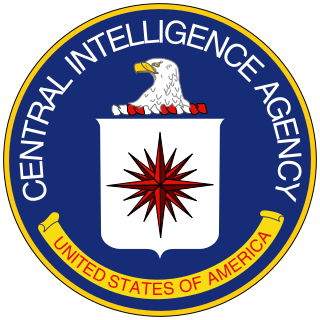 The Cuban Project, also known as Operation Mongoose, was a covert operation of the Central Intelligence Agency (CIA) that was commissioned in March 1960 during the final year of President Dwight D. Eisenhower's administration. On November 30, 1961, covert operations against Fidel Castro's government in Cuba were officially authorized by President Kennedy and after being given the name Operation Mongoose at a prior White House meeting on November 4, 1961. The operation was led by United States Air Force General Edward Lansdale and went into effect after the failed Bay of Pigs Invasion. Llewellyn E. "Tommy" Thompson Jr. was a United States diplomat. He served in Sri Lanka, Austria, and, for a lengthy period, in the Soviet Union where his tenure saw some of the most significant events of the Cold War. He was a key advisor to President John F. Kennedy during the Cuban Missile Crisis. 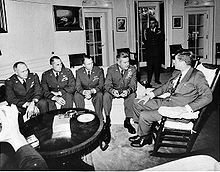 The Executive Committee of the National Security Council was a body of United States government officials that convened to advise President John F. Kennedy during the Cuban Missile Crisis in 1962. It was composed of the regular members of the National Security Council, along with other men whose advice the President deemed useful during the crisis. EXCOMM was formally established by National Security Action Memorandum 196 on October 22, 1962. It was made up of twelve full members in addition to the president. 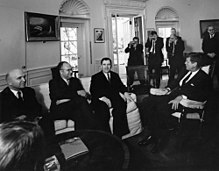 Advisers frequently sat in on the meetings, which were held in the Cabinet Room of the White House's West Wing and secretly recorded by tape machines activated by Kennedy. None of the other committee members knew the meetings were being recorded, save probably the president's brother, Attorney General Robert F. Kennedy. 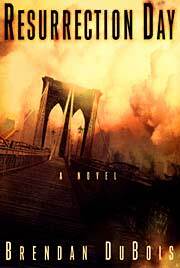 Resurrection Day is a novel written by Brendan DuBois in 1999. It is an alternate history where the Cuban Missile Crisis escalated to a full-scale war, the Soviet Union is devastated, and the United States has been reduced to a third-rate power, relying on the United Kingdom for aid. It won the Sidewise Award for Alternate History that year. 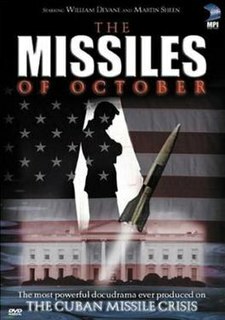 The Missiles of October is a 1974 docudrama made-for-television play about the Cuban Missile Crisis. The title evokes the book The Guns of August by Barbara Tuchman about the missteps amongst the great powers and the failed chances to give an opponent a graceful way out, which led to the First World War. The teleplay introduced William Devane as President John F. Kennedy and cast Martin Sheen as United States Attorney General Robert F. Kennedy. 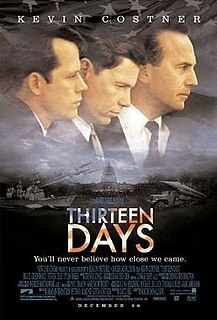 The script is based on Robert Kennedy's book Thirteen Days: A Memoir of the Cuban Missile Crisis. The American University speech, titled "A Strategy of Peace", was a commencement address delivered by United States President John F. Kennedy at the American University in Washington, D.C., on Monday, June 10, 1963. 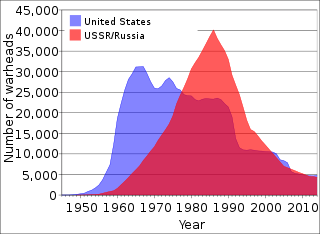 Delivered at the height of his rhetorical powers and widely considered one of his most powerful speeches, Kennedy not only outlined a plan to curb nuclear arms, but also "laid out a hopeful, yet realistic route for world peace at a time when the U.S. and Soviet Union faced the potential for an escalating nuclear arms race." 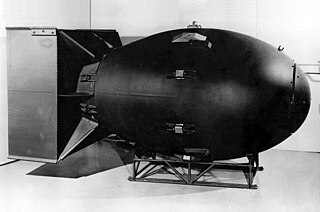 In the speech, Kennedy announced his agreement to negotiations "toward early agreement on a comprehensive test ban treaty" and also announced, for the purpose of showing "good faith and solemn convictions", his decision to unilaterally suspend all U.S. atmospheric testing of nuclear weapons as long as all other nations would do the same. Noteworthy are his comments that the United States was seeking a goal of "complete disarmament" of nuclear weapons and his vow that America "will never start a war". 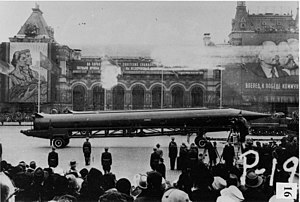 The speech was unusual in its peaceful outreach to the Soviet Union at the height of the Cold War, and is remembered as one of Kennedy's finest and most important speeches.